Art is much more powerful when it jumps from the pages of a book and you can enjoy it face to face. 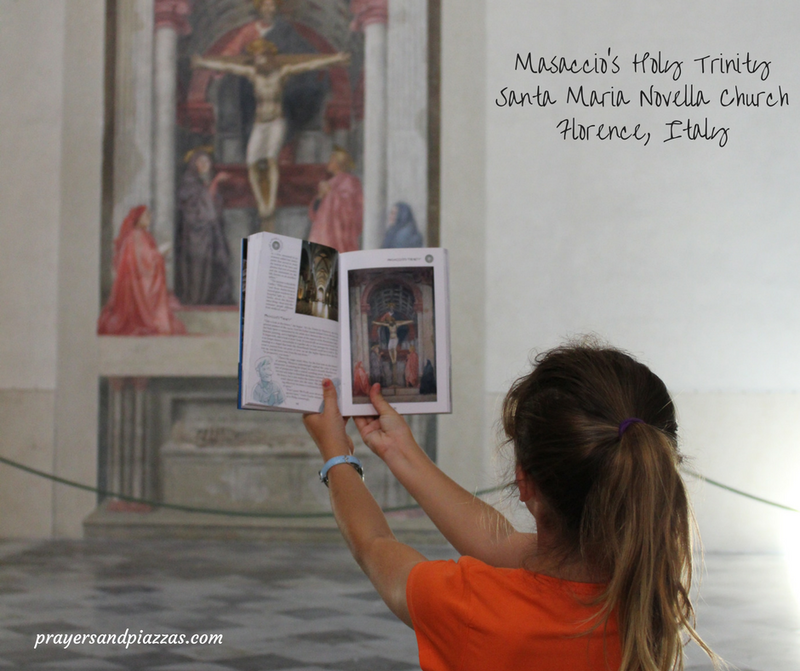 We found Masaccio’s masterpiece, The Holy Trinity, sitting quietly inside Florence’s Santa Maria Novella church, a peaceful and cool oasis from a crowded summer day in the city. Tags: A Snapshot From, Florence, Italy, Snapshots from Italy, Travel. Bookmark the permalink. Great photo! And what a cool experience with your daughter! What an education for darling miss; a very meaningful trip! !